(White Baneberry (Actaea pachypoda) - 05) This is a photo of a single white baneberry leaf with its three leaflet terminal cluster, followed by opposite branching three leaflet clusters, which is followed by a third branching each of which has a terminal three leaflet cluster, and side branching three leaflet clusters. 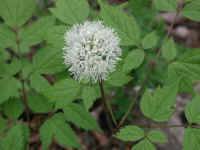 The alternately growing leaves then connects to the stem of the white baneberry. 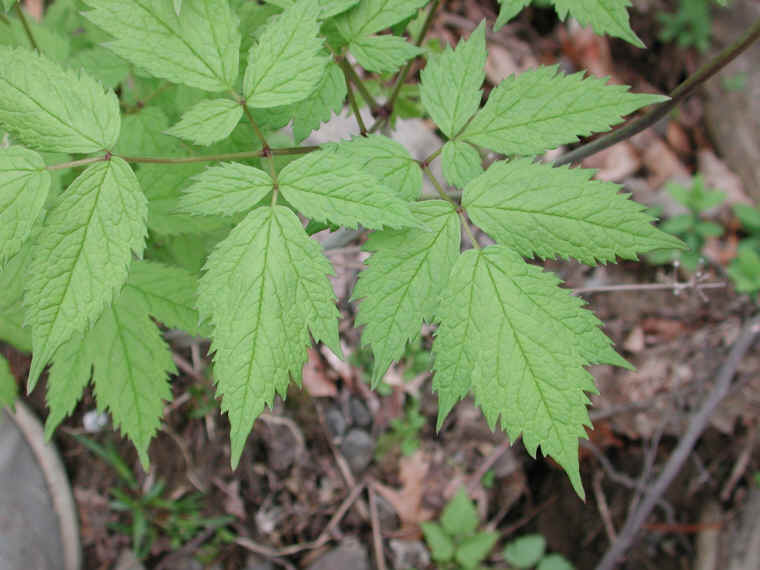 Scientifically, this leaf is described as: alternate, twice ternately divided, glabrous, petiolate, with ultimate divisions serrate, with shallow lobes, and total leaf length (with petiole) of +40cm long, and +30cm broad.